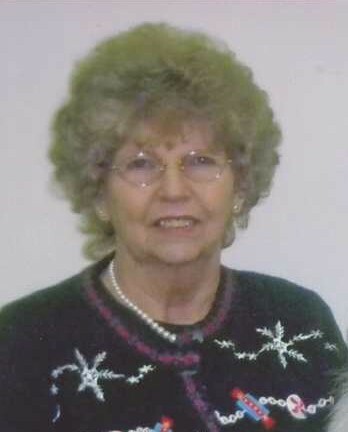 Alta Lorsa Scarberry, 77 of Barboursville, WV passed away on Wednesday, January 9, 2019 at St. Mary’s Medical Center. Funeral services will be held on Saturday at 1:00 p.m. at Beard Mortuary with Rev. Jamie Jefferson officiating. Burial will follow in Ridgelawn Memorial Park. The family will receive friends after 11:00 a.m. on Saturday. She was born October 19, 1941 in Huntington, WV the daughter of the late George and Ethel Price Roach. She was also preceded in death by her husband, Rex Scarberry, a grandson, Matthew Chapman, two sisters, Roberta Collins and Rodella Muth and a brother, Johnnie Roach. She was a member of Oak Hill United Brethren Church. She was retired from Wyngate Senior Living. She is survived by her loving family, her three daughters, Tanya Justice of Grayson, KY; Barbara (Kenny) Chapman of Lexington, KY; and Kelli (Jimmy) King of Barboursville, WV; a son, Rex Scarberry of Huntington; sisters, Ruth Reger, Rosie Beaver, Fannie Blake and Joyce Adkins; brothers, Odell Roach, Millard Roach, Wally Roach, Mike Roach and Carl Roach; she is also survived by her grandchildren, Christina Chapman, Shane King, Christopher King, Shawn Justice, Shannon Justice, Steven Justice, Amanda King and Bradi King; a great grandson, Gabriel King, and a host nieces and nephews and extended family. Those who wish may make memorial contributions to The American Cancer Society.